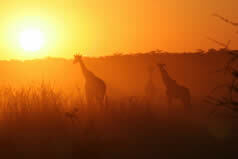 Making your travel arrangements to Africa and Indian Ocean can be overwhelming. A bad hotel experience can ruin your trip, making your stay in Africa and Indian Ocean not worth your while. If you're looking for a hotel room that doesn't break the bank, be sure to browse our map to compare prices of our hundreds of thousands lodgings in different areas and cities across Africa and Indian Ocean. Regardless of if you are travelling for business or pleasure, use our search feature to see a list of hotels, amenities, and compare prices so you can find the best deal for your stay. Enjoy one of our Africa and Indian Ocean hotels for free by joining our Hotels.com Rewards Program for a chance to get a free night after you book 10 nights on Hotels.com, also you can unlock the secret price too! Don't forget to download the Hotels.com app so you can make your reservation anytime anywhere! Finding an affordable hotel room in Africa and Indian Ocean has never been easier.